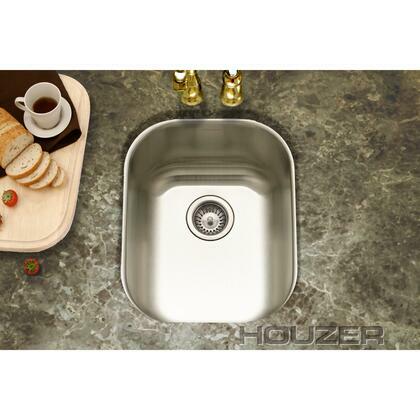 Houzer sinks complement your home and your lifestyle. Look to Houzer for a versatile range of both classic and modern sinks for any kitchen, entertainment area or lavatory. Our sink collection is a perfect representation of our unique passion for sink design and an ideal way for you to reflect your personal style in the kitchen. Each Houzer sink is covered by a lifetime warranty to the original purchaser against any possible defects in materials and workmanship. The Club bar and prep sinks are a perfect complement to your kitchen, home or bathroom. Their compact sizes and simple, clean lines make them attractive and functional additions to any home. Houzer sink ware is made from durable Type 304 stainless steel, a premium 18/10 mix of chrome and nickel that makes our sink ware exceptionally resistant to corrosion, stains and dents. 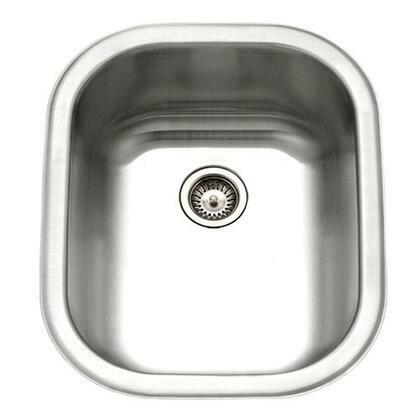 Houzer sinks have a hygienic, scratchproof and resilient surface that requires minimal care and maintenance. Club series sinks also feature Stone Guard protection which is a marble powder based undercoating that provides excellent noise reduction and thermally insulates your sink, keeping water hot longer. Bowl Length (Left to Right) 13"
Bowl Width(Front to Back) 16.5"
Sink Length (Left to Right) 18.5"
Sink Width (Front to Back) 15"